Our Projects are driven by the passion and commitment of our staff. In our Head Office in the UK, and in our teams all around the world, we care about volunteering. This is because so many of us have been volunteers ourselves. 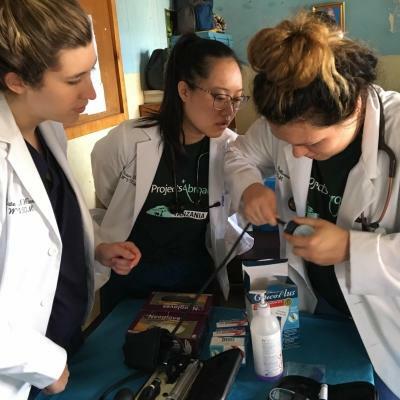 We understand how transformative a volunteer project or internship can be – both for the individual, and for the community. Our hallmark is our commitment to employing and training our own staff throughout the world. Read about our approach to staff support, safety and backup. In your contact with us, several members of our staff will guide you through your volunteer journey. They are all experts in their field and love to share their knowledge with you. Our Project Experts will be in regular contact with you, from the moment you start considering going abroad, to your application and the point of departure. They aim to relay important information, address any concerns, and serve as your most important point of contact. Depending on your preference, this could be through email, via phone, or over live chat. After you applied, our in-house flight and visa team come on board. They offer a personalised service, drawing on decades of travel arrangement for thousands of volunteers to countries around the world. They have in-depth knowledge about the countries where we work and know the best ways to get you where you need to be, ensuring you have more time to focus on other preparations for your trip. Speaking of preparations: Your Volunteer Adviser will assist you from the moment you signed up, until you arrive in your destination. Since they know your destinations by heart, we can ensure they can answer all the questions you (or your parents) have. Once you arrive in your destination, our local destination staff take over. They guide you through induction and orientation so that you become quickly familiar with your new home away from home. We believe our in-country support to be unparalleled. Every single one of the places we work in has a Projects Abroad Office. Each country has a Country Director and various supporting members of staff. They are in country to help you whenever you need them, and organising the details of your placement and accommodation according to our strict criteria and high standards. I really felt as though the Projects Abroad staff went above and beyond to make sure we took advantage of every opportunity in Tanzania.